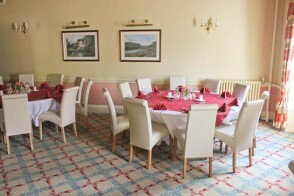 Our club house offers extensive facilities including dining rooms, bar, lounge areas, reading rooms, seminar & meeting rooms, a snooker room and a separate squash court. A well equipped kitchen, staffed by Sharon, Christine, Poppy & Lisa has modem facilities and is available to provide a wide variety of meals, including an excellent lunch menu, with a Friday “special” and high quality good value lunchtime bar snacks. 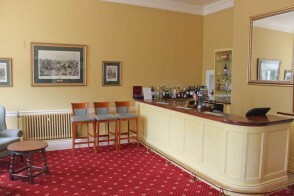 The bar is open on weekday evenings from 5.30pm to 7.30pm. 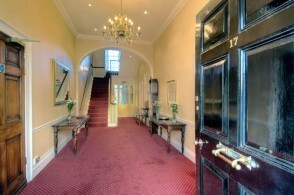 Our building, also, has an extensive car park for the convenience of members. This facility is increasing in popularity with members as prices in local car parks soar and are often full to capacity. 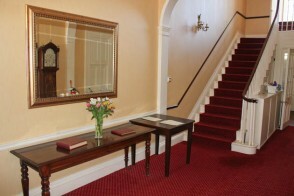 On the day, the dining room looked splendid, the food was exceptionally good, and the service was faultless. We and our guests had a wonderful time and we are grateful to Lisa and Sharon and their helpers for all their hard work and expertise.